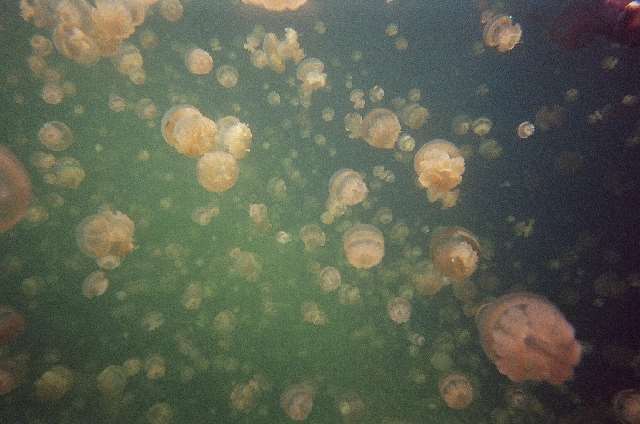 ShangralaFamilyFun.com - Shangrala's Jellyfish Lake - Palau! Welcome! Come on in. 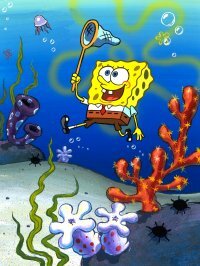 Jellyfish are probably some of the most unusual and mysterious creatures that you'll ever encounter. With their gelatinous bodies and dangling tentacles, they look more like something from a horror movie than a real animal. 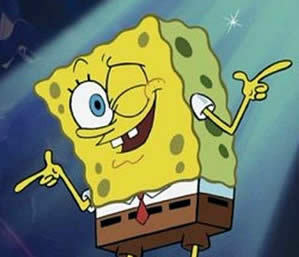 But if you can get past the weirdness -- and the fact that getting too close to one results in a nasty sting -- you'll discover that jellyfish are pretty fascinating. 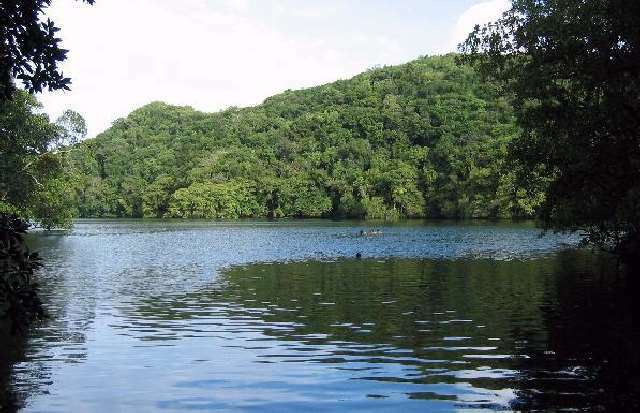 They've been around for more than 650 million years, and there are thousands of different species, with more species discovered all of the time. 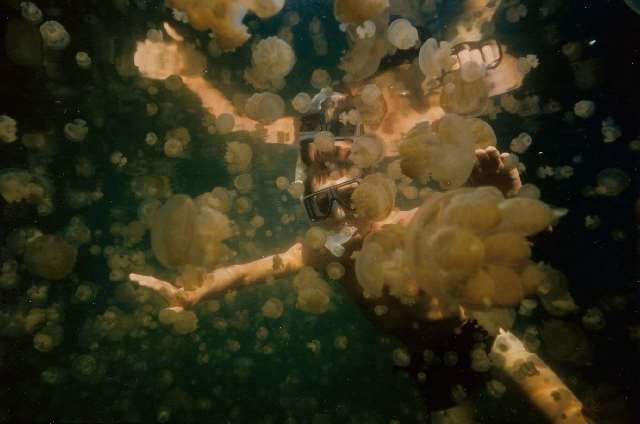 Jellyfish Lake is a well-known site in the Pacific island of Palau. It is a rock island - a rocky, uninhabited archipelagos off the coast of Koror. 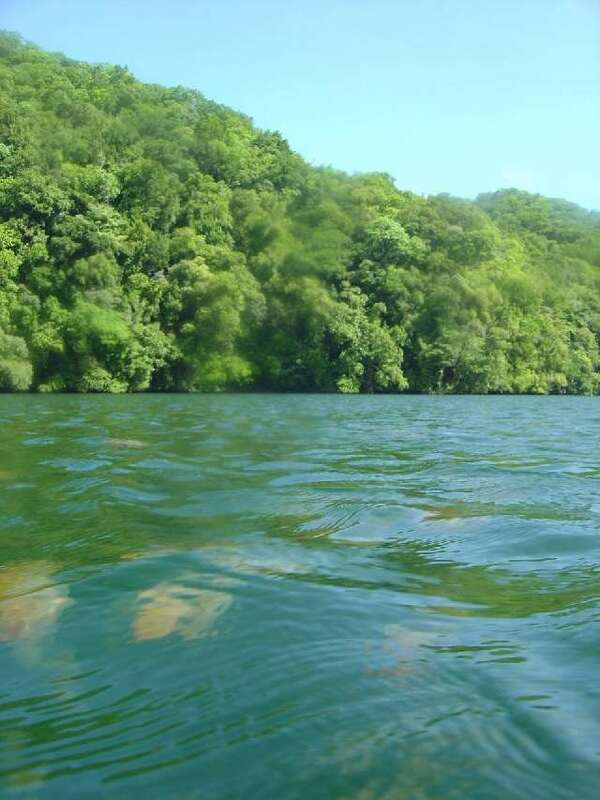 Jellyfish Lake is completely isolated, but in the distant past, it had an outlet to the ocean. The outlet was closed off and the high jellyfish population was isolated and started to feed on quickly-reproducing algae. 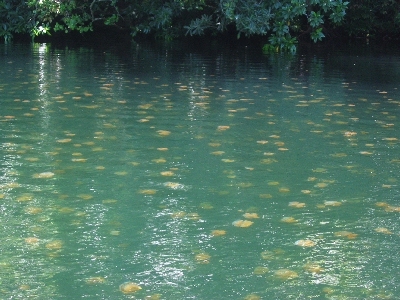 Like normal jellyfish, the jellyfish of Jellyfish Lake do have stinging cells, or nematocysts. However, because the stinging cells are so very tiny, their sting is not detectable on most human tissue. People can enjoy swimming with them much closer than would be possible anywhere else in the world. At night, the jellyfish descend into a layer of hydrogen sulfide found below 15-20m of depth.